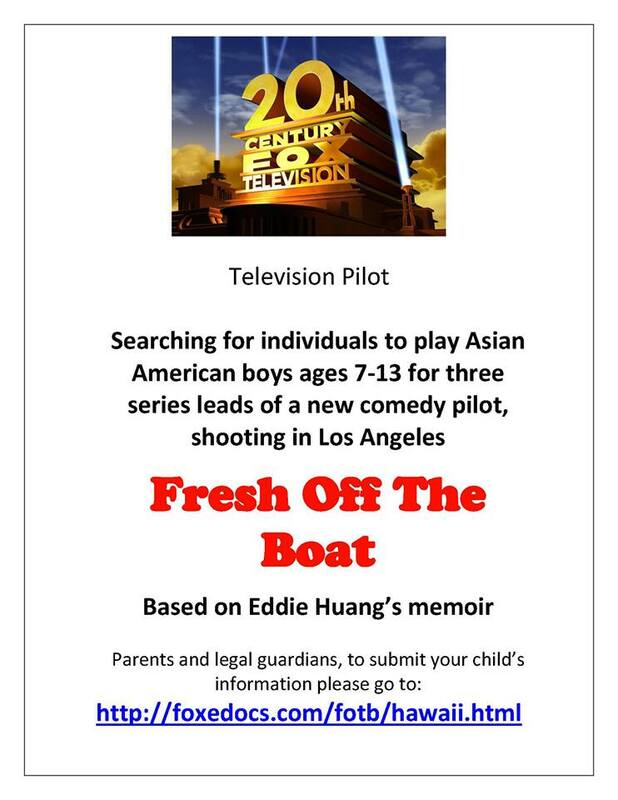 The new 20th Century FOX television comedy “Fresh Off The Boat” is now casting for lead roles. Yes, leads! They are looking for Asian American kids ages 7 to 13. There are 3 roles to fill for the show which FOX has ordered a TV Pilot for. We are in pilot season and this is a good time to audition for roles that may get picked up to be TV series. Casting directors in Los Angeles are now accepting online submissions for consideration and have a chance to get on the show. You do not need an agent, you can follow the directions below on how to apply for an audition online. The project is being created by Don’t Trust The B—- creator Nahnatchka Khan for 20th Century FOX. ABC has ordered the pilot to possibly make into a episodic TV show. The show would be based on Eddie Huang’s memoir. Fresh Off The Boat is written/executive produced by Khan along with Jake Kasdan who is also serving as executive producer for the show. Eddie Huang is a restaurateur that wrote a book about his childhood, his immigrant family and what it meant to him to become an American. Eddie and his Fresh off the Boat family came to the US,where Eddy grew up embracing everything American which included a lot of ‘up to no good’ activity. 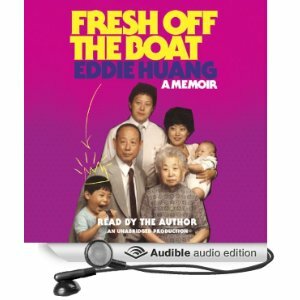 His book is described as funny, raw, and moving, and told in an irrepressibly alive and original voice, Fresh Off the Boat recasts the immigrant’s story for the twenty-first century. It’s a story of food, family, and the forging of a new notion of what it means to be American. Eddie’s story has now been ordered to TV and the pilot episode needs to cast 3 child leads. You can submit your child for auditions online through a form that was set up by the producers. They are looking to find 3 Asian American kids ages from 7 to 13 to fill those roles. The comedy series will be set in the 1990s and is about a Chinese family that moves to suburban Orlando. The comedy tells the story of teenage Eddie who loves hip-hop and trouble. His father is overly zealous about being American while his mother is confused by all the ‘white’ culture. His father who is a cook opens up a steak house and the family begins to live the American dream while still trying to keep grounded in their original Asian culture. It’s the story of first generation American’s and the trials and tribulations that go along with that. Please note: Parents or legal guardians of minors applying MUST complete this form. Please see the form to fill out.